Home » Casino offers » Have you tried Volt Casino? 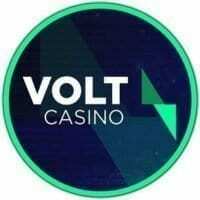 Have you tried Volt Casino? We´ve just added Volt Casino on our site, which is one of the newest brands in the UK. As far as we know, this brand was built slowly and carefully to meet all the needs of the players and you can definitely see that. At Volt you find casino and sportsbook. What we really like is their welcome bonus. All new players get 120 extra spins upon £20 deposit. What we like is that those are wager free spins. What ever you win, is yours. Unfortunately there is no welcome bonus for sportsbook, which however is quite common in the UK. Overall, they have really seen effort when it comes to their design and user-friendliness. Obviously, perfect casinos do not exicst but this brand is worth of a shot. Especially with the wager free spins.